Observation - Tree seedling - UK and Ireland. Description: Seed leaves only - both about 3cm wide and slightly crinckly edges. 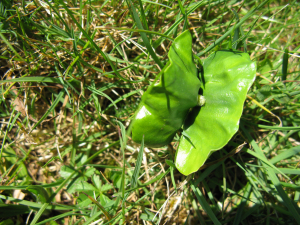 Seed leaves only - both about 3cm wide and slightly crinckly edges.